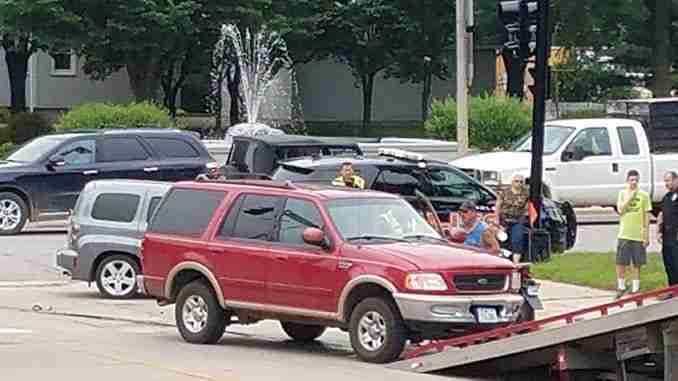 Charles City, Iowa – No one was injured when two vehicles collided at the intersection of Highway 18 and Clark St. at 12:04pm Wednesday. 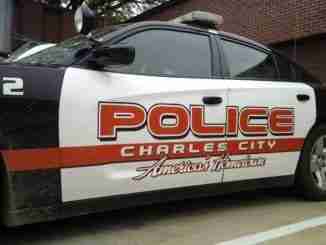 Charles City Police say a 2006 Chevrolet HHR driven by 76-year-old Charlotte Junker of Nashua was traveling north on Highway 18 when she turned left onto Clark St. into the path of a 1998 Ford Expedition operated by 16-year-old Autumn Peterson of Ionia, who was southbound on Highway 18. Police say both vehicles came to rest just west of Highway 18 on Clark St.
Junker was cited for failure to yield upon a left turn. Total damages to both vehicles was estimated at close to $5,000.